Before you even begin designing the packaging, designers have to spend a little time understanding their target demographic and forging out their company goals. Researching and focusing on a particular customer group. After accomplishing these two objectives, the stage will be set for designing your ideal beauty packaging, but first things first; let’s prepare. When it comes to cosmetics, you might not believe the amount of research that goes into making their beauty packaging design attractive. The first consideration for any product is to consider the market that will consume that product. However, with beauty products, manufacturers have so many different considerations when marketing to a particular customer group. After determining who your customers are, designers have to give their brand some personality. Giving the product an identity that closely aligns with the company’s brand identity is integral to selling the product. For example, beauty products are sold to all types of people, and so manufacturers have to decide whether their product belongs to a luxury line, an eco-friendly line, a niche market (dark and edgy), or classic All-American. By focusing on a particular group, companies increase their chances of developing brand loyalty as well. Because it is easier to visualize a concept, companies often create a mood board as a part of branding. Many companies begin creating their brand’s identity with a mood board that features both images and colors that represent the brand. This board helps companies put words to the images, and more importantly, establish the brand’s personality. 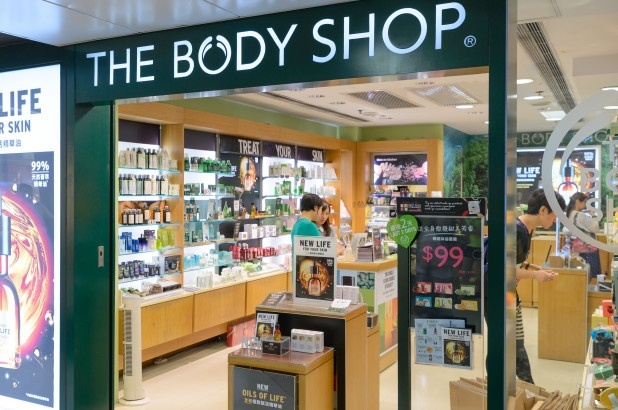 A great example that illustrates the importance of finding a target population and developing brand identity is the internationally known retail store The Body Shop. The Body Shop is known for taking a kinder approach to making beauty and cosmetics for women by eliminating the use of animal testing and making products that do not use animal by-products. Their animal-friendly and humane stance on animal testing has not only defined this company but is also an integral part of their branding. Their customer base, likewise, comes from a group of people who value animal rights, and from this platform the company has established brand loyalty. After developing the brand’s identity, companies spend time putting together the entire package. Some of the most relevant details include the colors, materials, and fonts that will be used in the design. These elements combined with layering the product to appeal to the product’s target market are all a part of creating the total package. 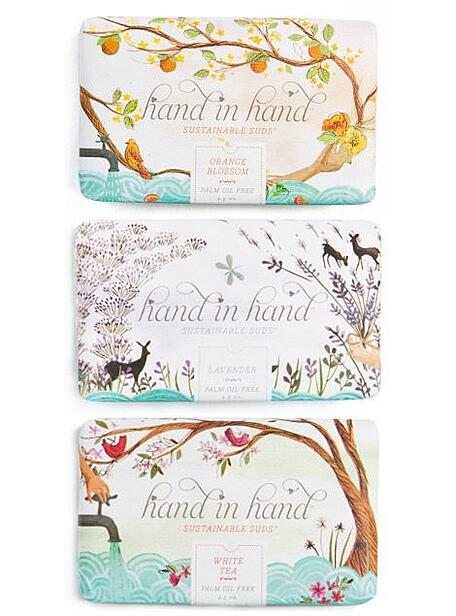 Central to designing a brand’s beauty packaging design is the product’s color palette. Color can make a brand appealing, but more importantly, color plays a role in conveying brand identity. For example, eco-conscious companies often use variations on the colors green and brown because of their associations with the Earth. Companies whose brands convey edginess and darkness often rely on very dark to neutral tones to convey these ideas. Common colors for cosmetics and perfume, though, are red and pink simply because of their associations with passion and femininity, respectively. 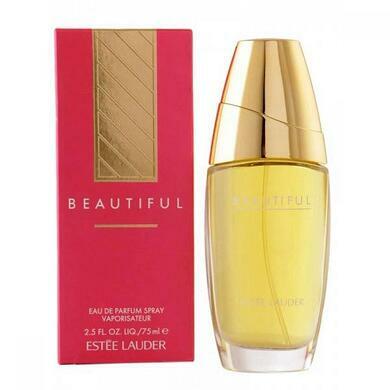 A perfect example of how color plays a role in branding is illustrated with Estee Lauder’s Beautiful. The perfume’s packaging conveys the quintessential product that exudes elegance, luxury, and more importantly, beauty. 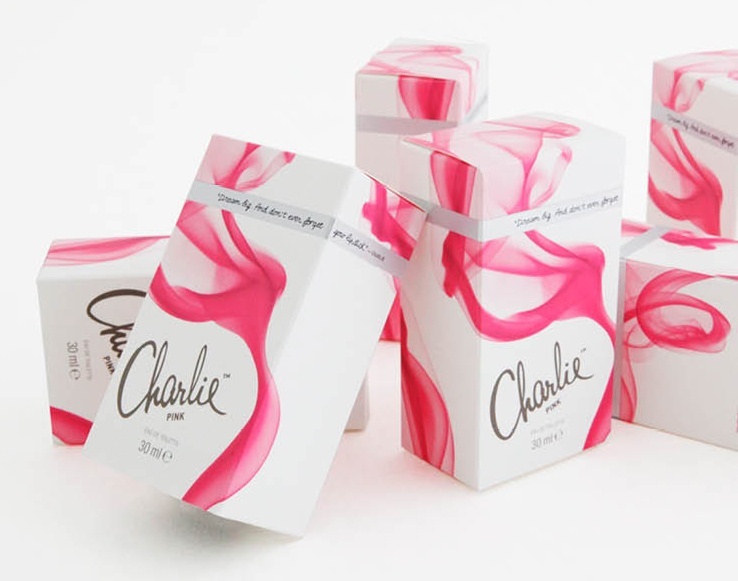 The product comes in a variety of packages, but the simple bottle of perfume is enclosed in a pinkish-red box or a white one with diagonal black crisscrossed lines when purchased as a single item or as a box set. These colors, in addition to the visuals, engender a sense of affluence and class to consumers. The beauty industry is awash with products that convey their brand identity simply by adopting a specific font. Many consumers will find script fonts or fancy cursive fonts used to convey to the public that the product is extremely feminine. These whimsical fonts convey frivolity and a sense of beauty that appeals to customers who have traditional values as it relates to beauty ideals. Conversely, classic fonts that do not rely on cursive can also convey certain ideas about a brand. In the above example, Beautiful’s font is a simple one, but it exudes a balance between classic and conservative values. Estee Lauder, the company which manufactures the product, is one of the most well-known cosmetic lines that markets in products to conservative women who define their style according to traditional ideals of beauty but with a twinge of modernity added. While these women comprise its target market, women outside of this group also find the product appealing. Companies that belong to the beauty industry have become very creative in choosing materials that convey ideas about their brands. 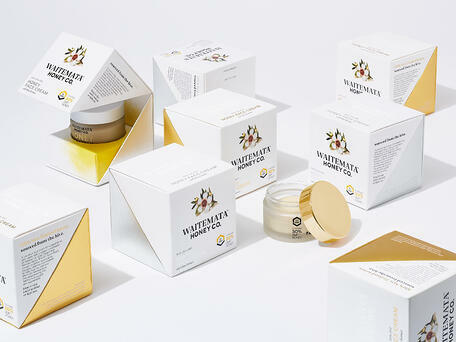 From metallic squeeze tubes that hold creams and cleansers to tiny jars that hold creams that erase wrinkles, choosing quality materials that embody the product comprises most of what makes a package appealing. Boxes, tubes, glass bottles and jars, paper bags, and tin cans comprise the various packaging materials that are typically used when designing beauty packaging. Boxes tend to hold box sets or single bottles of expensive perfume, lotions and body washes. When choosing a box, though, the box size and shape has to be appealing to the consumer. Boxes come in many shapes and sizes and companies want to make the distinction between placing their product in a pizza box as opposed to one that exemplifies luxury, beauty and even artistry. For example, many perfumes come in boxes that have a velvet enclosure in which the perfume can sit comfortably. The boxes tend to be made from a sturdier type of cardboard. However, printing and production costs for cardboard can get expensive. For this reason, modern technology has made it possible for companies to use alternative packaging methods. Often times, products can be separated from additional packaging and placed in sturdy shopping bags, both large and small. Also, tin cans can be great holders for lip balms and lipsticks that come as a package. Plus, consumers like packages that can be used beyond simply holding their products, and tins, bags, and cardboard boxes are all materials that can be recycled for around-the-house use. The crème de la crème of beauty packaging design usually comes as part of an ensemble of packaging that is referred to as product layering. This refers to how the product appears when the customer actually purchases it. 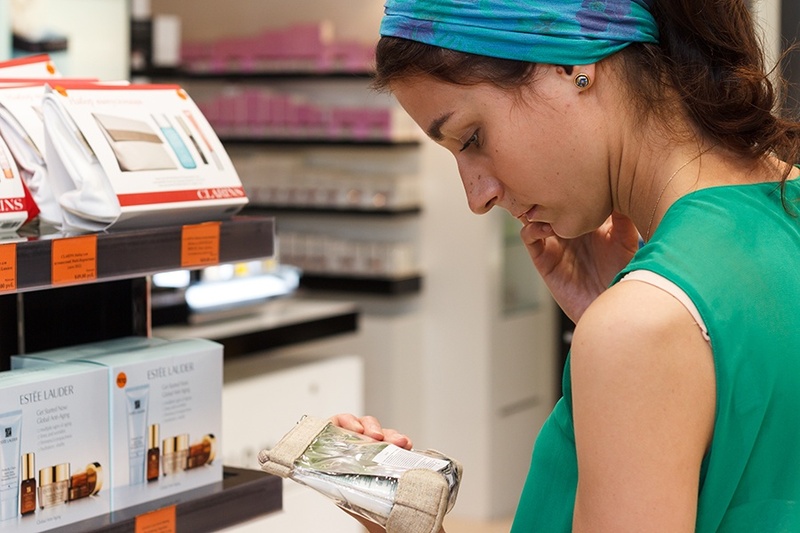 Often when leaving the retail establishment, the customer will have the product that is contained in its primary packaging (box, tube, jar or tin), and depending on the product, the package might be enclosed in an additional box, which is the case with many cosmetic products, perfumes, lotions, and body washes and gels. Then, there is the last layer, the packaging that the customer takes his or her products home in, which is pretty much a shopping bag. 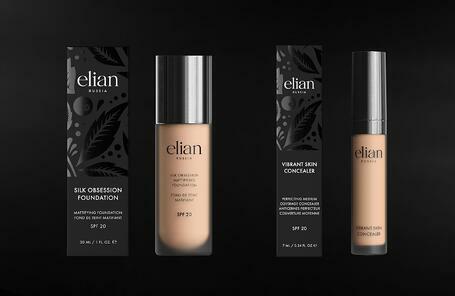 All of these layers complete the image of a polished beauty packaging design. These layers not only are continuous promotion of the brand, but they also add to the products appeal. However, because these layers require that companies have packaging of different sizes and styles available, companies have to make sure their design can be used for various packaging styles. For one, the fonts have to be clearly visible to the consumer, in addition to having to convey the same information as placed on other products. Also, integral is making sure that any images can fit comfortably on packages that are small, medium and large. 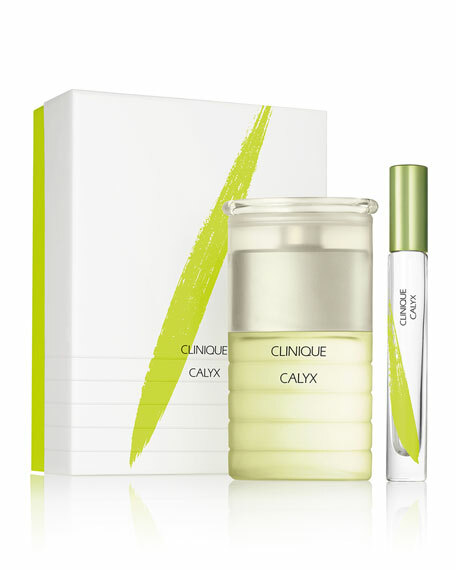 Clinique’s Calyx perfume is an example of how a complete beauty packaging design adds polish and appeal to a product. The simple glass bottle contains the pungently botanical fragrance. However, the bottle is enclosed in a box, and when purchased in the department store, comes with a small shopping bag of the same design. The product’s total package is quite appealing to customers looking for a green, botanically scented sweet perfume. Companies have to keep in mind the types of materials used in their packaging products if deciding to produce limited editions. Limited editions tend to be customer favorites, especially when they are seasonal products. Perfumes around the holidays usually are body sprays and creams that focus on flavors like vanilla, pumpkin spice, and cranberry. Cosmetic lines might advertise particular eyeshadows, nail polish, and lip colors that reflect the season. Outside of the season, companies introduce limited editions in a range of products, perfumes especially. Hair care products that have particular scents also show up in limited editions as well throughout the year, whether the products are styling gels or oils that happen to be popular at the time. For example, Argan and Moroccan oils are very popular at the moment. The point is limited edition products are a great opportunity for businesses to test new markets and introduce new lines. Let’s take a look well-known beauty brand Victoria Secret as an example of the way in which limited editions can be packaged. As a part of their Bombshell line, the perfume comes in a bottle that is a paradox between simplicity and complexity. The clear bottle has opaque vertical strips that are accented by a black ribbon. The perfume, like others in this product’s line, when purchased, comes with Victoria Secret’s standard shopping bags, or a smaller version of one. As part of designing the perfect package, companies have to remember to include product information that will quickly and concisely tell the consumer the package’s positive health benefits. Often times, beauty products will come labeled with symbols indicating the condition of the product’s contents. One simple way of doing this is by adopting internationally-recognized symbols or creating a list of ingredients that can be placed somewhere on the product’s label. Usually, this is done, though, with companies who adopt a socio/political platform. The benefit to the company is that this type of advertising makes the consumer think about the product beyond just using the product, and in a way, it develops brand loyalty. 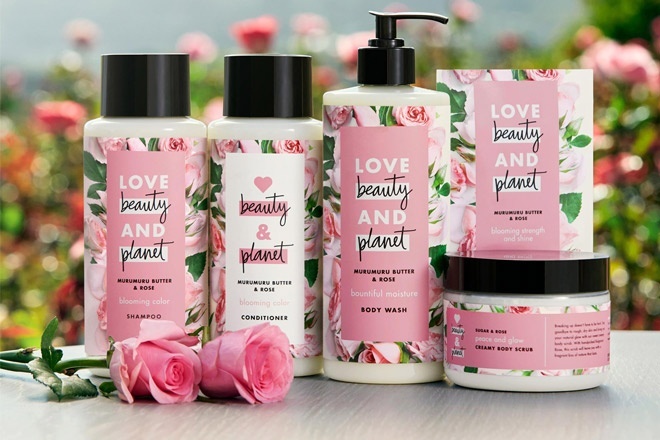 Love Beauty and Planet is an example of the way in which a company includes information related to the products contents. The products explain the various ingredients it does and does not contain. Descriptions such as dye-free, paraben-free, and silicone-free, in addition to a number of natural products that are a part of this product’s line, are printed clearly on labels. Health-conscious, product-savvy consumers can easily review the product’s contents and make their decision regarding purchasing the product. 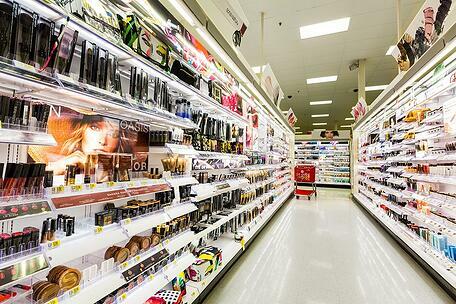 The final step in designing a package that will attract customers at the beauty counter involves creating an image. Again, this process in and of itself is a process, but by completing these two steps, businesses will have invested in creating a product that rivals no other. These steps involve utilizing software that can adequately and professionally illustrate the ideals embodied in the brand in both printing and production, and then much later, creating a visual. In choosing software, programs that offer multi-dimensional views of the product make it easier for others involved in the designing process to create the actual package. Typically, companies choose to send their files in two-dimensional vector files that are scalable. Programs like Adobe Illustrator and Inkscape help companies create templates for a number of products. While many send the product’s mock-up to the manufacturers using two-dimensional vector files, programs that draw three and four-dimensional allows companies to rotate the packaging to see the image from different angles. Both Esko, a plugin that allows the program to be seen in 3D, and Cinema 4Dm, a program that gives a 3D view of pictures, are common programs used in beauty packaging design. The second step involves developing a template. The template contains nothing but a very basic sketch of how the beauty packaging design might appear. The template is simply a visual representation of where the package should be perforated (folded) and cut (trimmed). These lines are usually illustrated in different colors. The design for every beauty product, from the most expensive to those found in many drugstores, follow a similar process before getting to the manufacturer. Everyone at one time or another has been there. Standing in front of the department store counter as the expertly made-up sales associate places our shiny new products in the appropriate bags. When this happens, it is the culmination of an entire process that draws on connecting brand identity with beauty and coolness to appeal to consumers with a variety of tastes. 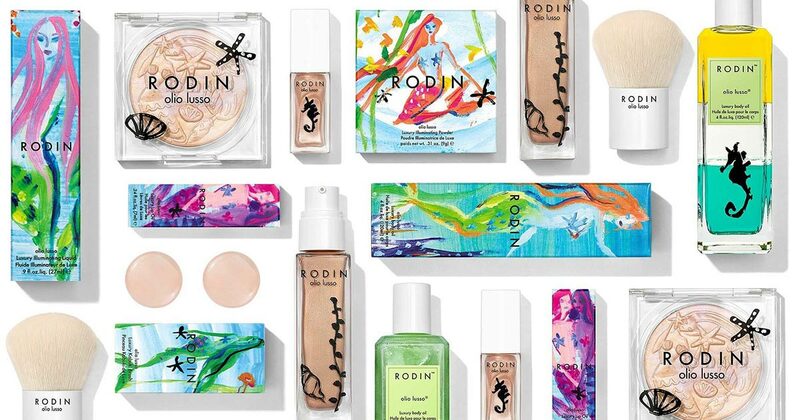 From playing with colors, fonts and materials to developing new ways to introduce different products to consumers, beauty packaging design has become more than an art just by virtue of understanding and catering to the psychology of the particular target market. Even with all of this work, though, the real reward comes at the end when the company’s layered design is seen through the happy faces of the consumer, who continues to be a loyal and dedicated buyer and ultimately ambassador of your beauty products and brand.